You have been developing a new site and using the most popular content management system, WordPress. Now it's time to get it live for everyone to see. For this, you will need to find a great web hosting provider that offers WordPress hosting. If you don't know what a CMS is, or how WordPress could be a great option for your website, read What is a CMS? You may wonder what is different about WordPress hosting than just plain old web hosting? You have a good reason to think that because there is really nothing different. What provider does do for those that have a WordPress site is to offer server optimization to cater to the CMS system. This includes security patches, MySQL caching, PHP version updates, and website uptime. When you are comparing different web hosts there are few features you can keep an eye out for to make managing your site easier. Really useful if you don't know how to FTP into your server and/or setup a MySQL database. With this, you can start building your website immediately. It's hard to manage a server from the backend command prompt of Linux. Having an easy to use control panel to help you manage your domain names, email addresses, and server settings can be a life saver. There is nothing worse than having your website go down on you. For the most part, there is nothing you can do. See what they guarantee, the industry standard is 99%. Getting stuck or not knowing how to do something can waste time and resources. Having a support team accessible at any time or day can keep your project moving forward. There are literally hundreds of web hosting companies available you can choose from. As the price is the number one factor for most of us, don't let it be the only one. Compare all the different features, support, and guarantees they all offer. Make your decision for the long haul, it's not fun to migrate to a different server. For those who want a much easier route then searching blindly. 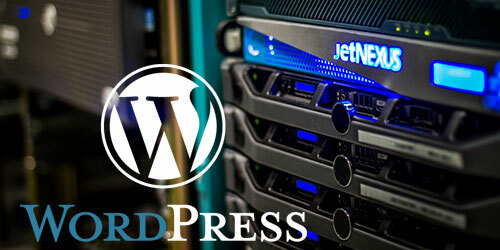 Below are some of the best WordPress web hosting companies in the industry. It hard to argue no to go with Bluehost. Not only is their pricing fair and features comparable to everyone else. But they are the #1 choice recommended by WordPress.org. With GoDaddy being the largest web hosting company in the United States, it hard to ignore. Their managed WordPress hosting plan includes access to 1,000 free themes and plugins, daily backups, and automatic security updates. HostGator current has 8,000,000 hosted domains and has one of the strongest reputations. They offer a similar WordPress web hosting plan. With one difference, No Contract. If you don't get a web hosting provider that is optimized for WordPress, don't stress about it. Your website will still be successful and the perform fine. With getting a WordPress hosting provider, your giving your website a boost. An increase of performance could result in quicker load times, lower bounce rate, and better conversion. If the pricing is in your budget. I would recommend getting a company that is familiar with WordPress or content management systems. This gives you peace of mind if you run into a problem they will know how to get your site back online. The article is very important.